One of the best government medical colleges. The clinical faculty and teaching, the hands-on experience could improve. This is due to lack of personnel. Government Medical College (GMC) aims to deliver glittering achievements in the field of medicare in India and abroad. 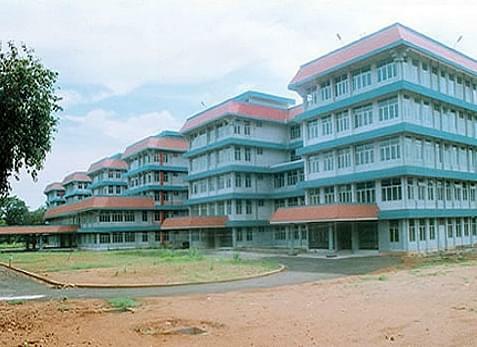 It is one of leading medical college in Kerala with some of the best facilities in medical field. 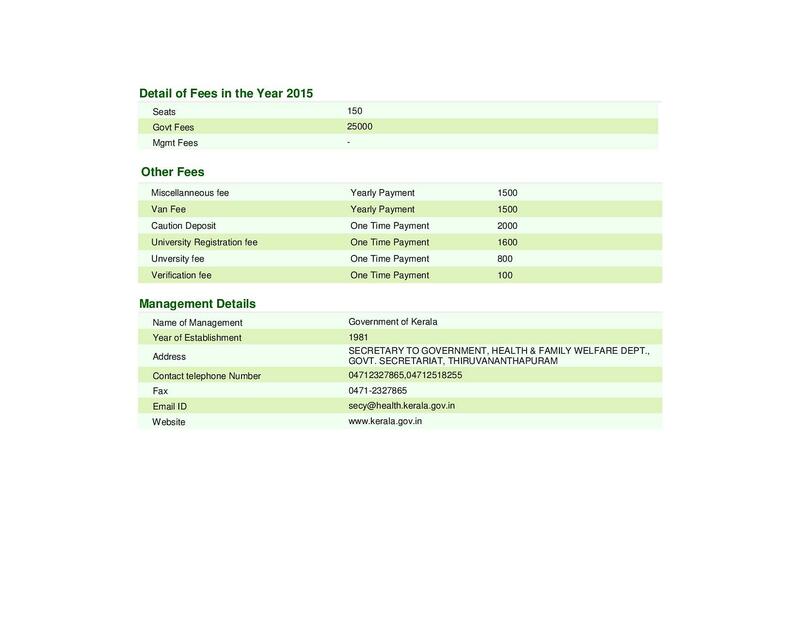 The main objective of the institution is provide medical education at an affordable fees. 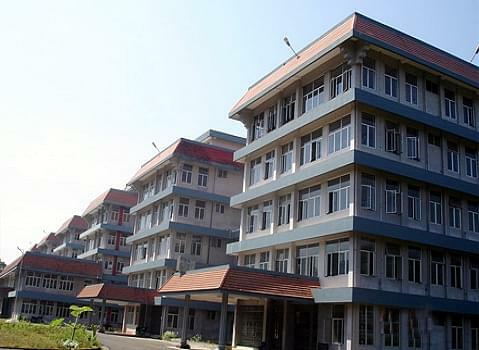 The college is located in scenic location of Thrissur district of Kerala and maintained by the Kerala Government. 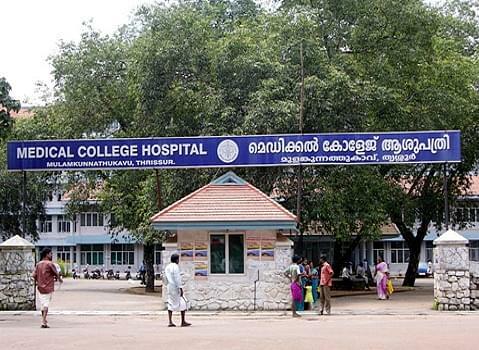 Besides the college and attached hospital, few health care centers are also maintained in rural and urban areas outside the campus. 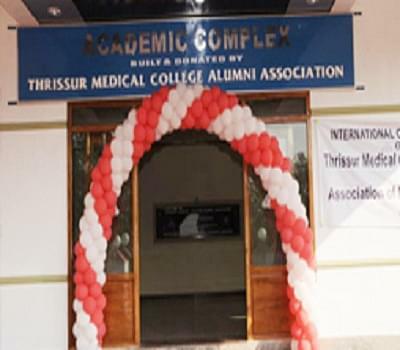 Why Join Government Medical College,Thrissur ? Prestigious institution with many achievements: GMC’s hospital has the first sophisticated mammography system installed in the country. The college is also pioneer in HPLC, CT scanning and IITV technologies. 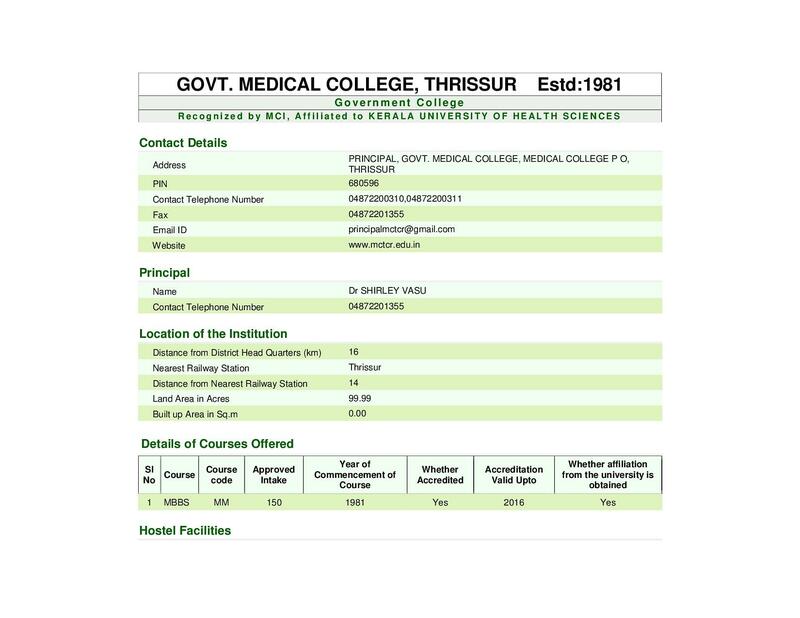 V-Sat with medlar facility in the library is first of a kind in all of Medical colleges in Kerala. College has also won many prizes in state-level competitions and quiz meets especially in 21st, 22nd, 23rd and 26th All Kerala Inter-Medicos Youth Festivals. Fully equipped classrooms and laboratories: All the classrooms are well-furnished and modern teaching and learning materials like audio visual equipment, computers, LCD projectors etc., are installed for convenience of the students. Free computer training is provided for students who doesn’t have prior knowledge in using computer. Skilled faculty members and training for students: All the teaching members of the college are talented doctors and experienced individuals from relevant industries. The MBBS and PG students are allowed to train in the Medical hospital during the later years of their studies to obtain additional real experience they require.